I've shown below some big moves from the past few years in 'hot stocks' that were all the rage. It comes as no surprise to me that a simple trend following system would have enables you to profit from these moves, while also giving you the appropriate signal when the party was over. Of those, shown, obviously Google and Amazon have had several big subsequent trends up to the present day, however the other two, after hitting their ultimate highs, have fallen. If you think back to the dot.com bubble, a trend following system would have allowed you to profit from the big moves up (even if you knew that those companies had no earnings! ), lock in those profits, before profiting from the ride back down when the bubble burst. 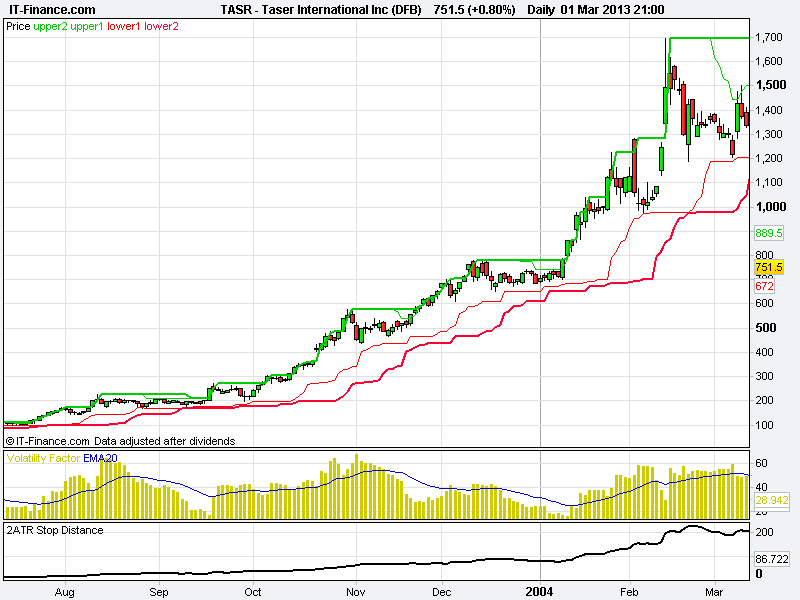 Below is stun-gun maker Taser from 2003 to 2004, which is when I started trading, and this was one of the first 'hot stocks' I encountered. From 2007, I've shown First Solar, when all the solar stocks started appearing on traders' radars. 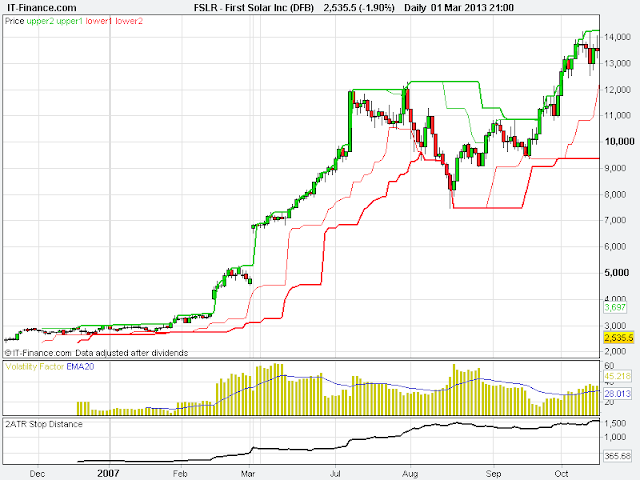 First Solar actually went north of $300. 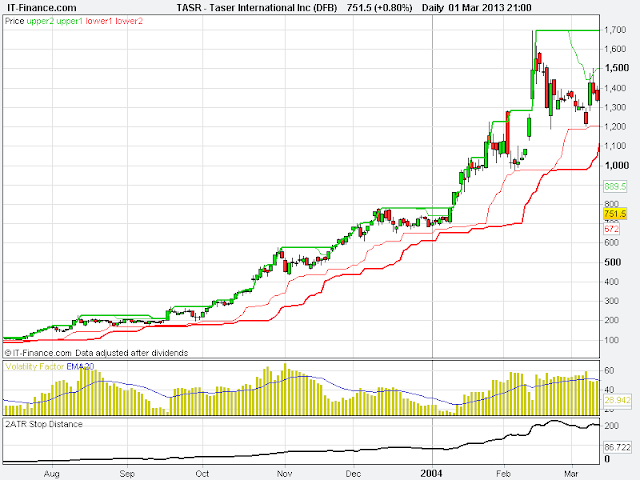 It currently stands around the $25 level, after dropping below $12 in 2012. The chart is from 1998 and indicates the trends that were prevalent around that time, regardless of whether the company concerned had earnings or not. 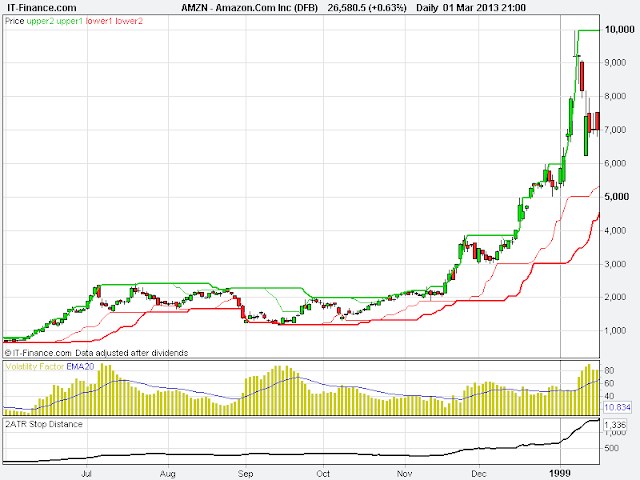 Of course, Amazon has continued to grow and develop several major trends over the years. Finally, from 2004 and 2005 is the chart of Google showing the initial trends following its IPO. 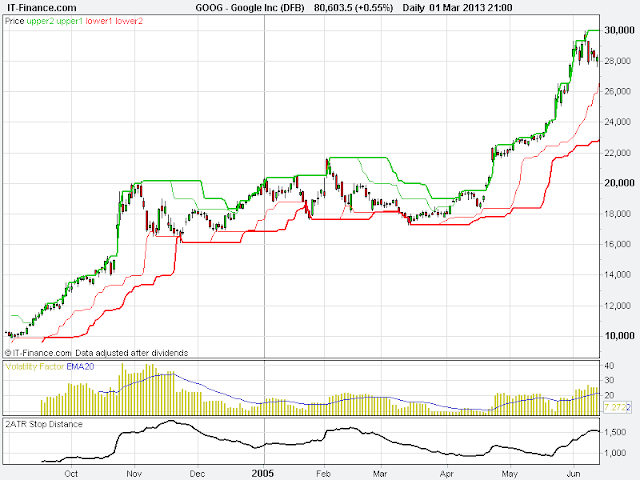 After the initial big trend, there was a wide consolidation over several months, before another big trend took off. Good risk management would have kept the losses from the failed entry signals to an absolute minimum, and would have allowed you to profit from those big moves.